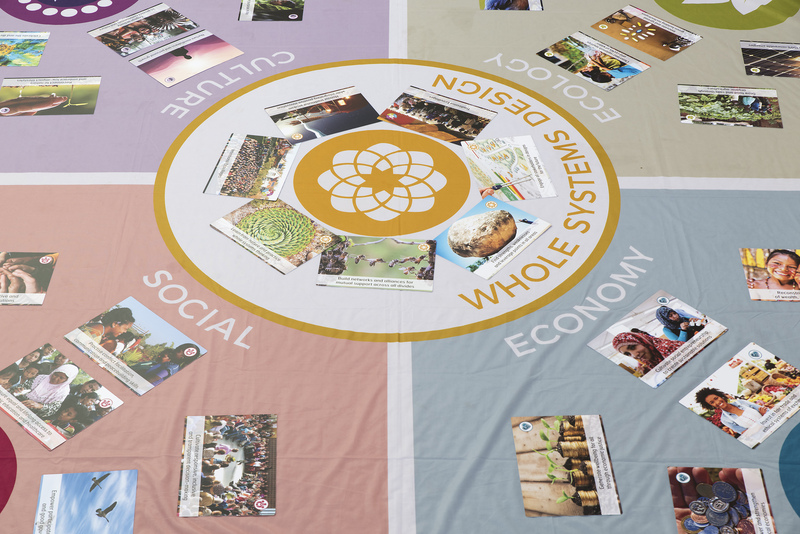 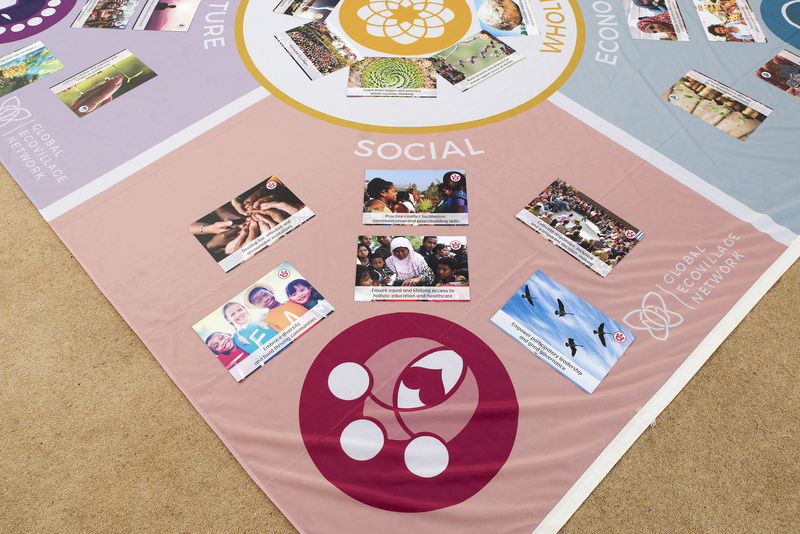 A tool for education and facilitation, the GEN Mandala Mat provides a clean and beautiful backdrop to conversations about holistic sustainability and the ecovillage model of regeneration. 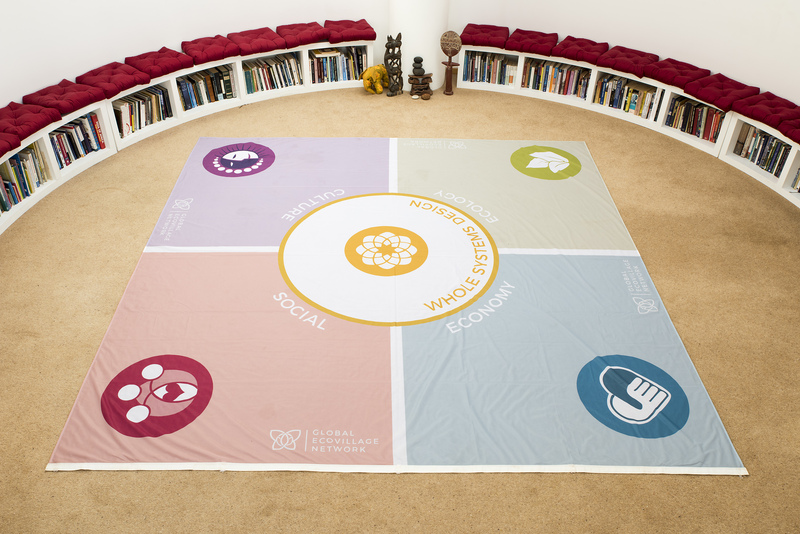 Made in a sturdy material that you can hang on the wall, put on the floor, and even walk on and wash, it invites creativity and movement in workshop sessions, and clarity to explanations and teaching. 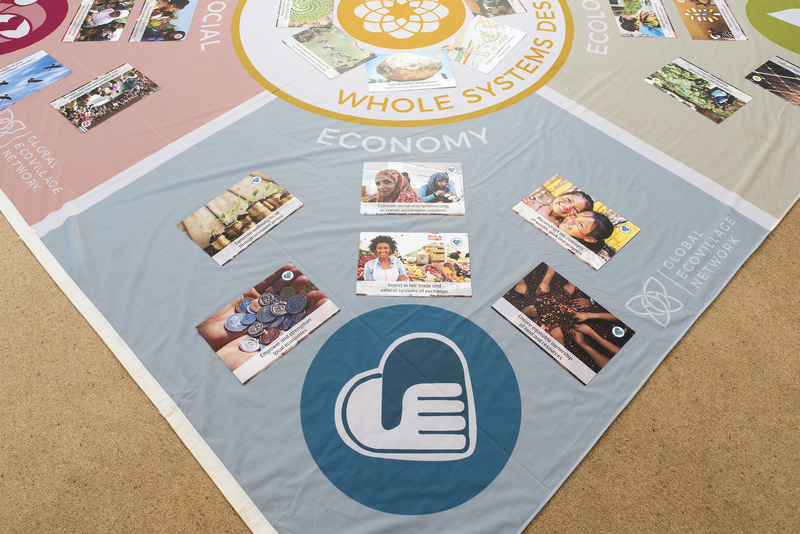 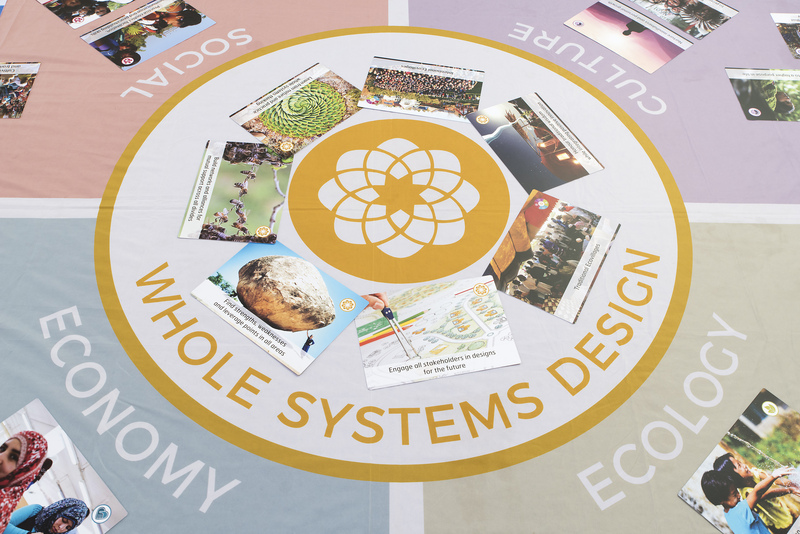 The Mandala Mat is often used together with the Ecovillage Design Cards, which can be placed on top of it according to dimension. 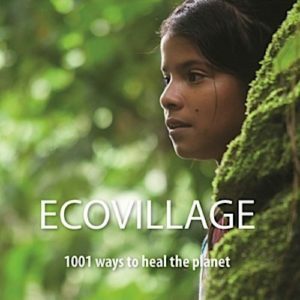 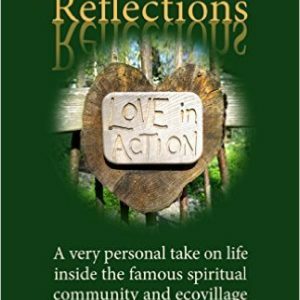 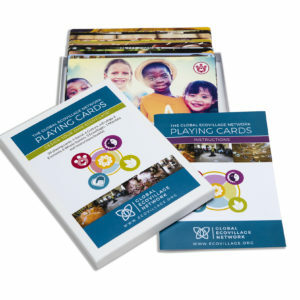 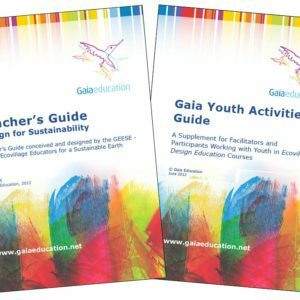 Together, the cards and the mat provide a complete package of powerful ecovillage teaching aids. With the Mandala Mat as your backdrop, you can explore ecovillage design, dialogue deeply about sustainability, and use movement, creativity and play as tools in your teaching. 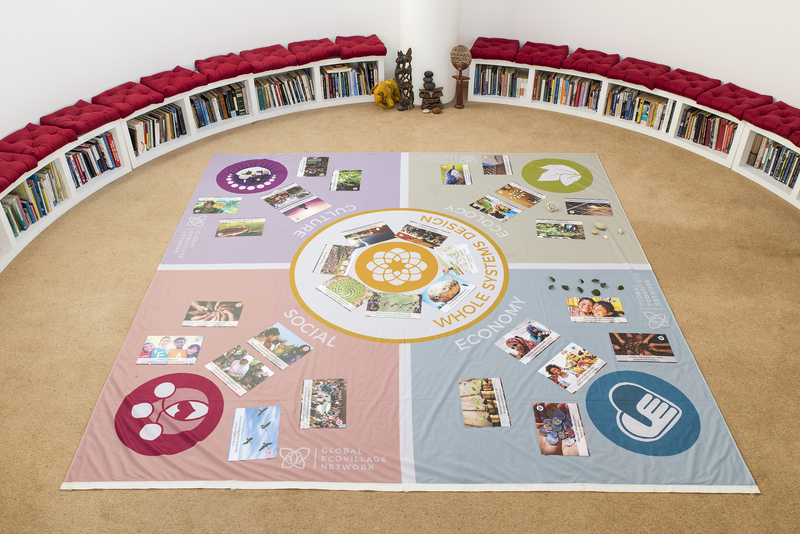 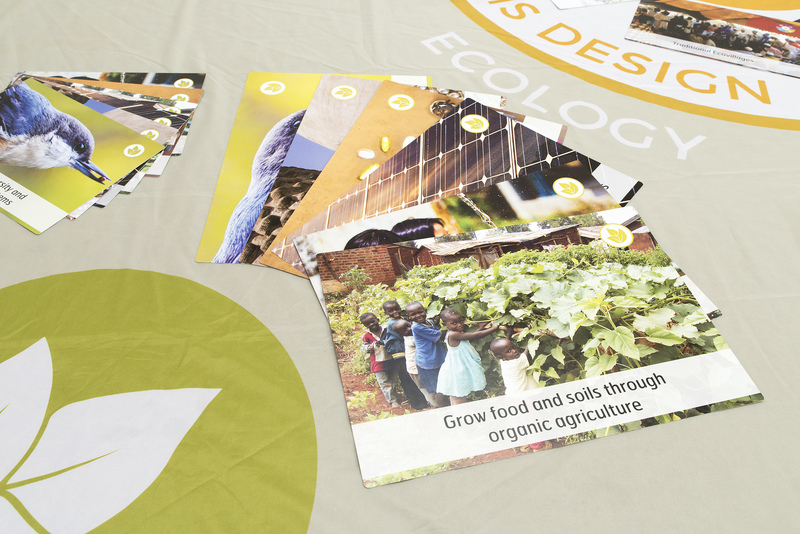 The mat comes with an instruction sheet giving examples and ideas of how it can be used. 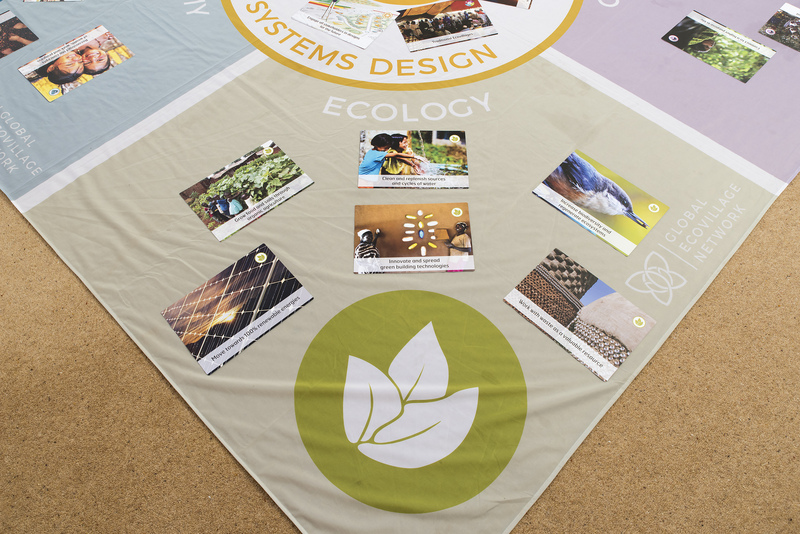 Made out of sturdy polyester often used for making outdoor flags, the mats are lightweight, flexible and waterproof. 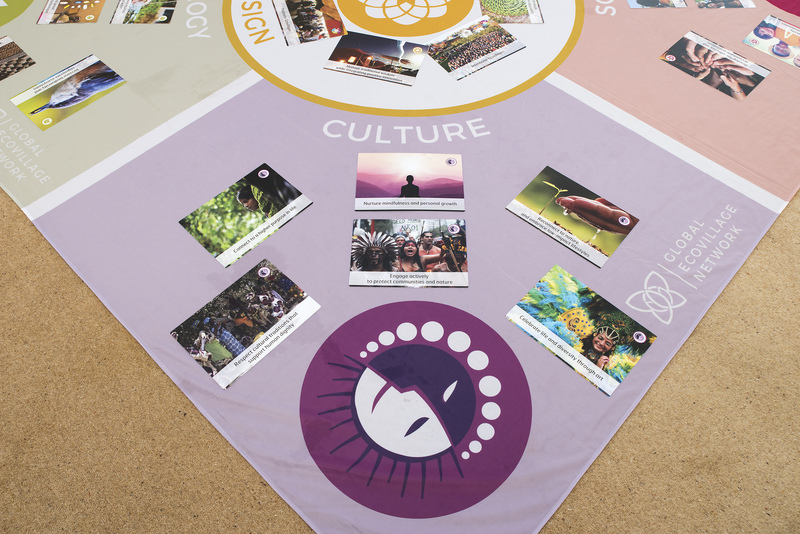 Each Mandala Mat comes with an instruction sheet giving examples and ideas of how it can be used.